I started the weekend with a run on Friday evening because I was looking forward to this Bento box- like plate of goodness when I was done. The guest pastor at church on Saturday said something that in still mulling over. The sermon, entitled “Ask The Question”, discussed asking pertinent questions to be able to move forward in the right direction with confidence. It reminded me of the book Rejection Proof which pointed out how we can miss opportunities if we’re too afraid to ask the questions that could open up those doors for us. On Sunday morning, I woke up early to run. I got dressed in my workout clothes then got distracted answering some messages and before I knew it, it was later than I had planned and thoughts of skipping the run were dancing through my head. But I was dressed already so I told myself I’d just go out for a mile. 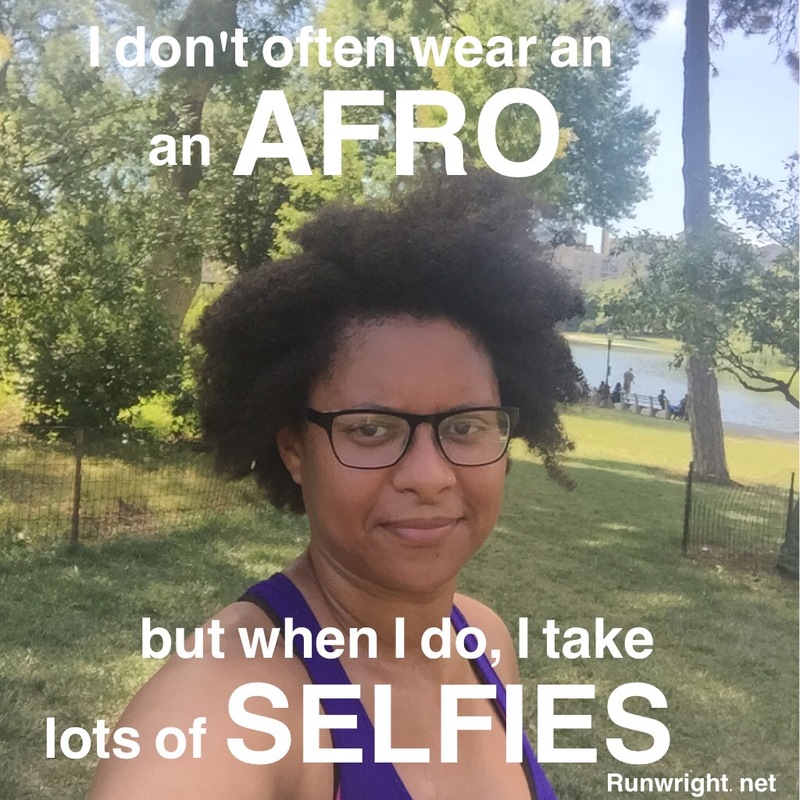 A mile plan became a plan to run to the water cooler and back and before I knew it, I was running in Central Park, finishing a 5K, complete with lots of selfies and lots of people watching in the park – some of my favorite activities. Moral of the story: Sometimes getting dressed for the event provides the motivation you need to go do it. Back inside, there was another homemade Bento box for the refuel. Last week, I started a 50-mile-during-August running challenge and I’m determined to finish it. 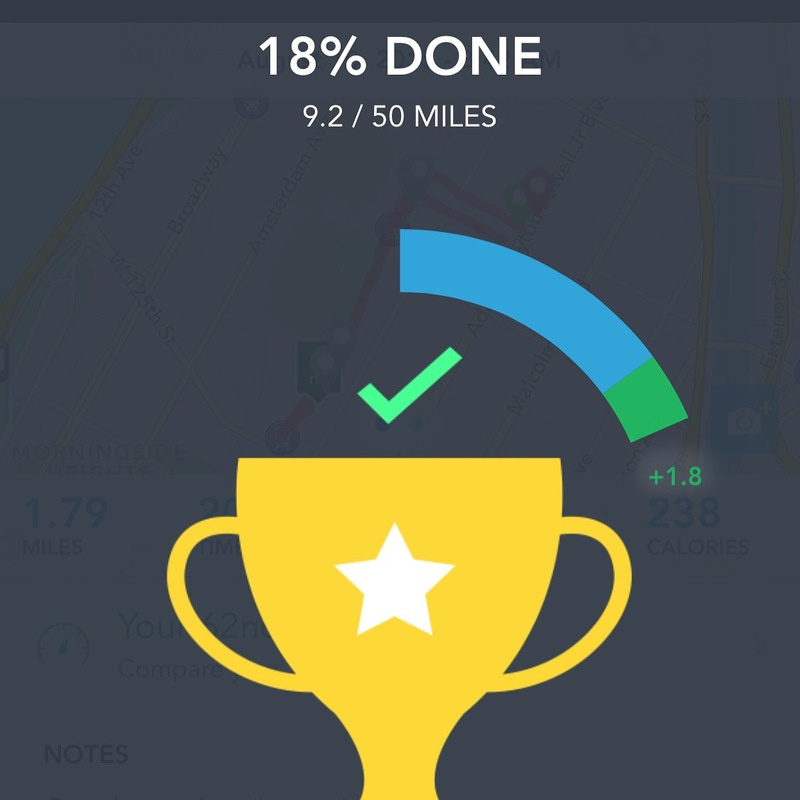 I’m using Runkeeper to record my progress. This is after my 1.8 mile on Monday morning. Otherwise, my goals this week are very similar to last week’s goals, since I didn’t meet them all last time. Work on my communication skills. That Bento Box looks yummy! And Im loving the afro!! Your Bento Box looks amazing!! Such yummy, healthy food! Thanks, Julia. It was delicious and just what I needed. What a drool worthy meal! Looks delicious. Getting on those workout clothes is a great way to self-motivate. Thanks! I am definitely doing that again. I would have loved to heard that sermon!! I am totally going to check out that book!! 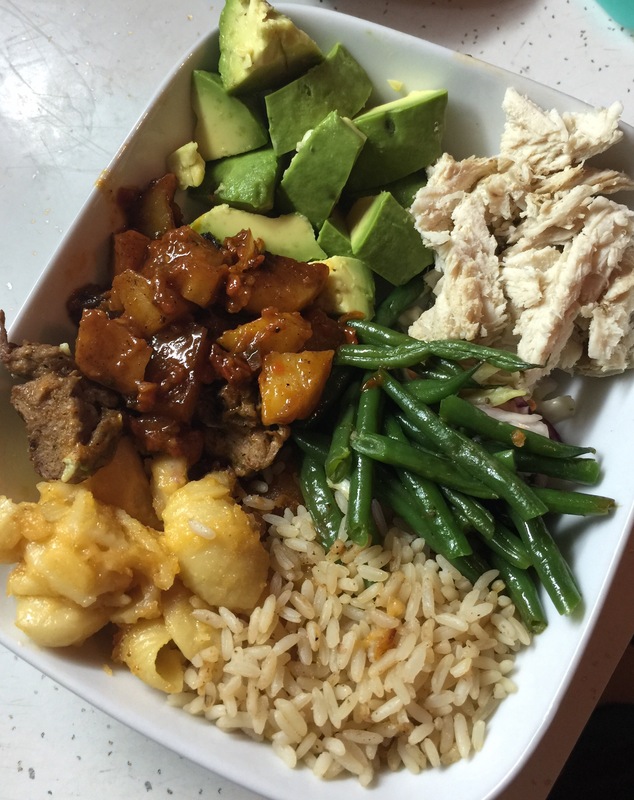 And seriously…you rock the bento box! 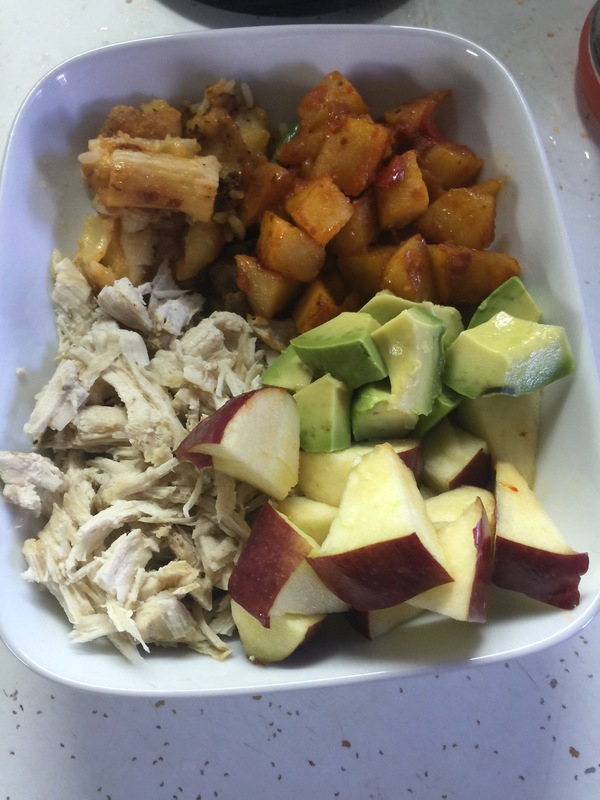 Your Bento boxes look sooooo amazing! Thank you for linking up!